By now you may have seen ads or a trailer for the film 127 HOURS, which hits theaters on November 5 and is based on the story of Aron Ralston and his shocking self-amputation incident in the Utah desert in 2003. 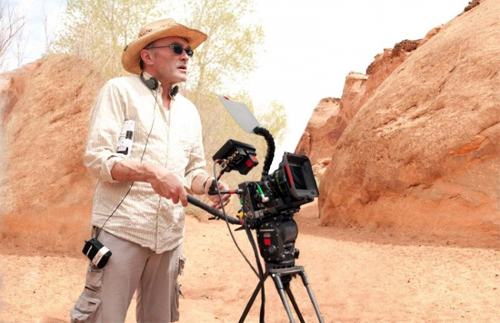 The film, funded by Fox Searchlight and directed by Danny Boyle, recounts the story of Ralston canyoneering solo in Blue John Canyon of Canyonlands National Park, where an immense boulder fell and pinned his right forearm. He was trapped for five days, and, nearing death from dehydration, Ralston took a knife and amputated his lower right arm to get free. It is a grisly tale, and one that rocketed Ralston to renown and fame as a never-die outdoorsman. Ralston got caught up in some controversy, too, for going solo and not leaving detailed information about his whereabouts. I’ve personally always looked past that controversy somewhat and am amazed that it diluted his street cred with a lot of outdoors hard cores. Come on, Ralston is a serious badass! He was not a neophyte in that canyon. Fate struck in the guise of a 1,000-pound rock, and Ralston struck back — five days and much agony later — with a last-ditch and life-saving final resort. 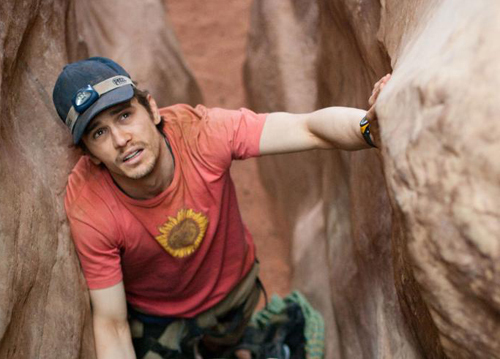 I am looking forward to 127 HOURS. In conjunction with the movie, a new web site, 127DefiningMoments.com, is seeking people to submit stories on their own life-changing or death-defying experiences. Along with Ralston’s own story, the top 126 submitted stories will be compiled to create “127 Defining Moments” on the site. I’ve never had an ordeal like Ralston’s. But in my life and time in the outdoors, there have been a few “defining moments,” that is for sure. I like the concept of sharing life-altering stuff. This could be a cool site, plus you can win some gear if you tell a good tale. Check out the story on a guy named Lynn who pulled a historic Mormon handcart 1,450 miles from the Mississippi River to Salt Lake City. He almost died three times. Other tales already posted are on mountain climbs, BASE jumps, a shark attack, and snowboarding descents. Read them all — and submit your own! — at www.127definingmoments.com. —Stephen Regenold is founder of GearJunkie.com. A version of this article ran on GearJunkie.VentureThere.com.